Bring the popcorn and have some fun. 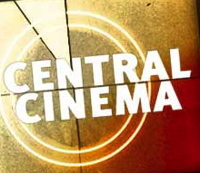 Come to Central Cinema, a movie night for youth and adults. The cinema is set in the comfort of the parlor on a wide screen providing free entertainment and fellowship at 6:00 p.m. on the first Saturday of the month, October through June. The movies range from comedies, to drama, always with a question and a brief conversation to unpack the faith and the insight of the story line. Check out our full list of upcoming movies.